An agent with the Department of Homeland Security and a former immigration officer surrendered to federal authorities May 8, a day after a grand jury indicted them and three others who allegedly participated in a long-running immigration fraud scheme that was fueled by official corruption. U.S. Attorney André Birotte Jr.
An 18-count superseding indictment outlines a wide-ranging bribery scheme in which attorney Kwang Man “John” Lee – who was previously charged in a criminal complaint and is not named in the indictment – used illegal tactics to procure immigration benefits for clients. Lee allegedly paid bribes to public officials to secure admission stamps and lawful permanent residency status for aliens who paid fees ranging from a few hundred dollars to well over $50,000. Lee paid bribes to government officials, with payments ranging from $50 to as much as $10,000 given to an officer with U.S. Citizenship and Immigration Services (USCIS). Authorities have identified several dozen aliens who improperly received immigrations benefits, but that number is growing as the investigation continues. • Mirei Hofmann, 38, of Los Angeles, a native of Japan, who allegedly paid Lee tens of thousands of dollars to secure a permanent resident card. Figueroa and Hofmann were named in an earlier indictment returned by the grand jury about a month ago. Anders and Lee, a 47-year-old resident of Los Angeles, were named in a criminal complaint filed about a month ago. All four were previously arrested and released on bond. They will be summoned into court for arraignments on the new indictment in the coming weeks. Dominguez and Lovingood were charged for the first time in the May 7 indictment, and both were to be arraigned on the indictment May 8 in U.S. District Court. The indictment alleges two conspiracies involving bribery and fraud against the U.S. (Figueroa, Dominguez and Lovingood are charged in one conspiracy; Anders is charged in the second). The indictment also alleges seven counts of bribery, two counts of making false statements, three counts of misuse of government seals (USCIS approval stamps), three counts of false stamps, and Hofmann is charged alone in one count of immigration fraud. The four current and former government officials named in the indictment allegedly conducted a number of official acts to help Lee’s clients obtain immigration benefits. For example, the indictment specifically alleges that Figueroa, Dominguez and Lovingood added documents to, and removed documents from, immigration files (A-files) related to Lee’s clients. In exchange for their official acts, Lee allegedly paid the officials with cash and expensive gifts – including at least three Thailand vacations for Dominguez, computers and television sets for Lovingood, and thousands of dollars in cash for Figueroa. 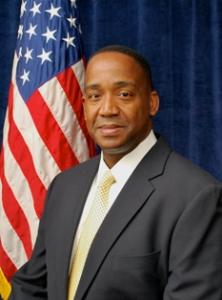 Lee, a former officer with an agency previously known as the Immigration and Naturalization Service, became an attorney in 1997 and maintains offices in the Mid-Wilshire district. Criminal complaints and indictments contain allegations that a defendant has committed a crime. Every defendant is presumed to be innocent until proven guilty in court. The conspiracy counts carry a statutory maximum penalty of five years in federal prison, and the bribery counts carry a statutory maximum penalty of 15 years in prison. If convicted of all counts in which they are charged, Figueroa would face up to 80 years; Anders, 65 years; Lovingood, 20 years; Dominguez, 20 years; and Hofmann, 10 years. The superseding indictment is the result of an ongoing investigation being conducted by U.S. Immigration and Customs Enforcement’s Office of Professional Responsibility and ICE’s Homeland Security Investigations, which are receiving substantial assistance from U.S. Customs and Border Protection, Office of Internal Affairs; the Department of Homeland Security, Office of Inspector General; U.S. Citizenship and Immigration Services, Office of Security and Integrity; and the Los Angeles County Sheriff’s Department.